August 28, 2013 – Montréal, Québec and Vancouver, British Columbia Kelso and EACOM are pleased to jointly announce that ET Acquisition Corporation (“ETA”), a corporation indirectly owned by funds managed by Kelso, has successfully acquired the 11,970,098 remaining Common Shares of EACOM not already acquired by ETA and its affiliates pursuant to the offer to acquire all of the shares of EACOM made on April 5, 2013 (the “Offer”). The acquisition of the 11,970,098 Common Shares was made pursuant to a compulsory acquisition carried out under the provisions of the Business Corporations Act (British Columbia) following its previously announced successful take‐over bid. As a result of the acquisition of such shares, ETA and its affiliates now own 100% of the issued and outstanding Common Shares of EACOM. It is anticipated that the Common Shares will be delisted from the TSX Venture Exchange on or about August 30, 2013. EACOM also announces that it will apply to the relevant securities commissions to cease to be a reporting issuer in all applicable jurisdictions. Details of the compulsory acquisition and the Offer, as amended and supplemented by the notice of extension dated May 10, 2013 and June 14, 2013, to purchase all of the issued and outstanding Common Shares in the capital of EACOM at a price of $0.38 per Common Share were previously press released and complete information about the compulsory acquisition and the Offerand other related documents are available at www.sedar.com. 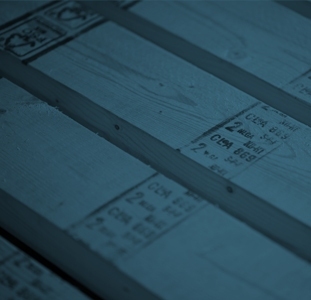 EACOM Timber Corporation is a TSX‐V listed company. 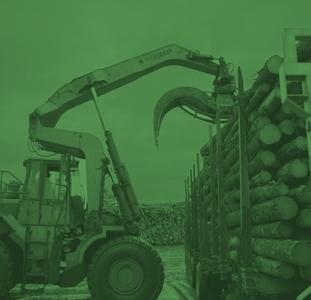 The business activities of EACOM consist of the manufacturing, marketing and distribution of lumber, wood chips and woodbased value‐added products, and the management of forest resources. EACOM owns eight sawmills, all located in Eastern Canada, and related tenures. The mills are Timmins, Nairn Centre, Gogama, Elk Lake and Ear Falls in Ontario, and Val‐d’Or, Ste‐Marie and Matagami in Quebec. The mills in Ear Falls, Ontario and Ste‐Marie, Quebec are currently idled. The mill in Timmins, which was seriously damaged by fire in January 2012, is under reconstruction. EACOM also owns a lumber remanufacturing facility in Val‐d’Or, Quebec, and a 50% interest in an I-joist plant in Sault Ste‐Marie, Ontario. All statements in this news release that are not based on historical facts are “forward‐looking statements”. In this news release, such forward‐looking statements include statements regarding the ability of Kelso to complete the take‐over bid, the anticipated benefits of the take‐over bid, the anticipated benefits to EACOM shareholders of the take‐over bid, the timing of the take‐over bid and the anticipated receipt of regulatory approvals for the take‐over bid. While management has based any forward‐looking statements contained herein on its current expectations, the information on which such expectations were based may change. These forward‐looking statements rely on a number of assumptions concerning future events and are subject to a number of risks, uncertainties and other factors, many of which are beyond our control and could cause actual results to materially differ from such statements. Such risks, uncertainties and other factors include, but are not necessarily limited to, those set forth under “RISKS AND UNCERTAINTIES” in the EACOM’s current MD&A, and under “RISK FACTORS” in EACOM’s Filing Statement dated January 8, 2010. Additional information relating to EACOM is available at www.eacom.ca and on SEDAR at www.sedar.com.